Don K Reed's DooWop Shop back on the air on Internet Radio!! Right now!! 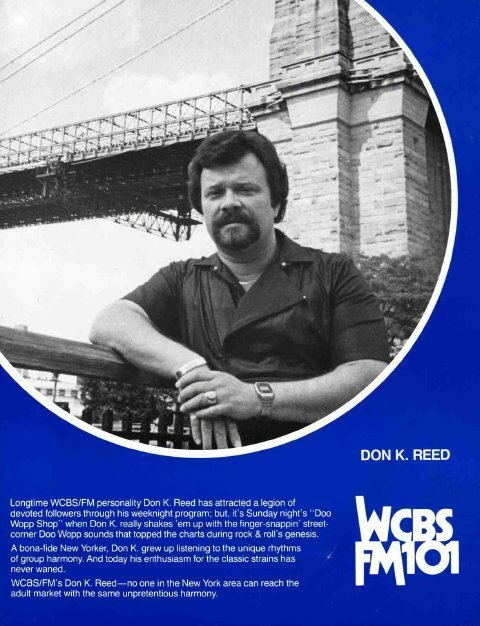 For those NY'ers who used to listen to Don K Reed's DooWop Shop on CBS-FM and really miss it, it's on right now (every Sunday from 7-9) on Belmonts Internet Radio. That was probably my favorite show, radio or TV, and couldn't wait till Sunday night to listen.